Which is just as we’ve been saying. It is common sense, really. If you haven’t got a financial system, then you need one, to cash cheques, channel investment and so on. It’s good stuff. But once finance starts to take over your economy, then it becomes a giant wealth-extraction machine. Growth slows. The only surprise here is that it’s taken the economics profession so long to wake up to this basic reality. More on this OECD report in due course. 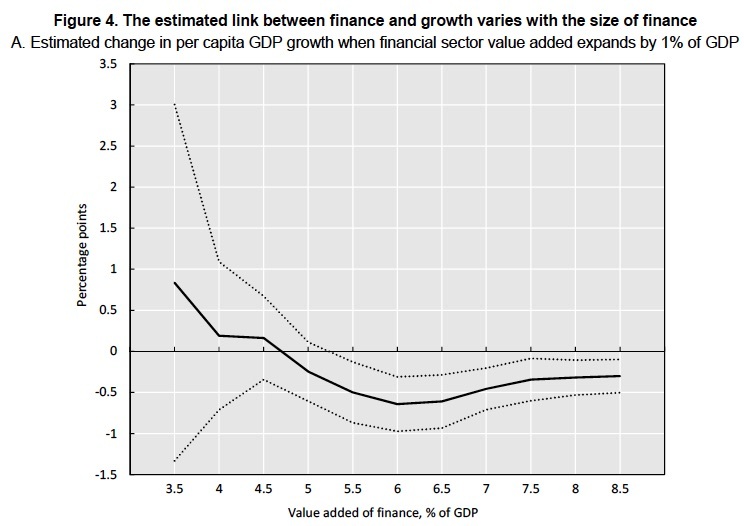 Oh, and here’s a pretty graph from the OECD.